My experience with normal holocaust believers. Probably like many here, I have had discussions with normie believers over the years. You know the type; normal Joe Public getting on with a normal life and have never doubted the tales of the holocaust, but get quite enervated when I turn up and suggest it isn't quite what they've been told. They huff and puff a bit, get flustered because they aren't quite sure what to say or get very quickly into the 'you must be a nazi' routine and refuse to even entertain that you might know a little more than they do having conducted fifteen +++ years research into the matter. Regardless of their ability to think, rationalise and whatever profession they follow, even high ups in the scientific professions such as engineering, legal, airline pilots etc lose the ability to follow and logical argument you may present. Therefore I have tried to boil this phenomenon down to a few salient points, below. Please feel free to add your own points. Only when we know why these people react the way they do can we fashion a clear plan and words as to how best to answer their irrational flustering and posturing. 1-They believe the films showing piles of bodies are from Auschwitz and other camps where mass murder by gas chamber is claimed to have happened. 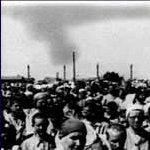 2-Believe all camps had gas chambers. 3-Believe all camps were 'liberated' by western allied troops. 4-Believe all 'death camps' were intact when found. 7-Believe that even if 6m didn't die enough died for it to be true. 8-Believe that all deniers are a)jew haters and b)jew haters. Re: My experience with normal holocaust believers. I somewhat agree, but really feel that most people know something stinks about the claims, and stinks big time. It's psychological. To openly admit that it's been, and is a scam, means the need to take remedial action. 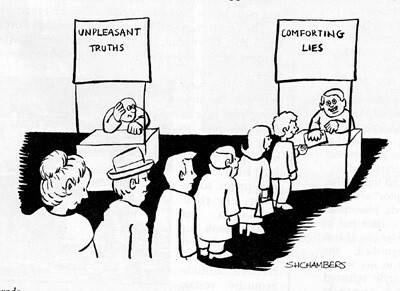 Heretofore, most people are more comfortable accepting The Big Lie rather than admitting that they have been screwed royally. Odd how that works. If they openly reject the laughable, impossible narrative they know the initial charges against them will be unpleasant, punitive even; which is further proof of storyline's fraudulence. The West has been conditioned by the utterly dominated Zionist media & 'academia' against challenging Jews and their profitable interests because of the claims about 'Nazis', even thought the allegations about the NS Germany were / are generally not true at all. The fake '6,000,000 & gas chambers' was created for / is used for everything that serves the interest of Jews, we all know it. So, heretofore, most keep quiet. But as there was massive acceptance of other impossible & ridiculous claims, witchcraft, flat earth, etc., the scientifically impossible 'holocau$t' Big Lie too will fall. It's not IF, but WHEN. A critical mass IS building and the Zionist elite can feel it. borjastick wrote: Probably like many here, I have had discussions with normie believers over the years. You know the type; normal Joe Public getting on with a normal life and have never doubted the tales of the holocaust, but get quite enervated when I turn up and suggest it isn't quite what they've been told. I would add that they believe the genocide was discovered after the extermination camps had been liberated. 10. Have never heard of Treblinka, Belzec and Sobibor, let alone Chelmno, Maly Trostinec etc. 11. Refuse to believe that most concentration camps were labor camps, as even holocaust historians admit. 13. Do not even know the name of a single gulag. 14. Might not even know that good ol' US of A persecuted hundreds of thousands of civilians and sent them to internment camps purely for their crime of belonging to a certain ethnic group: except they were not jewish, but of japanese origin. 15. Refuse to accept the fact that Jews, despite only makinfg 2% of the nation's population, hold significantly more representation in banking, media, entertainment & showbiz, law firms etc. and that this was also the case back then in Germany, and therefore Hitler's rhetoric made sense to normal German people on the street. As an old russian proverb goes: The Jews love telling you what happened to them, but never why. Media's non-stop loud reminders of antisemitism (it's increasing - everyday)!! Collectively, these all contribute to peoples programming on the topic. The emotional manipulation (subjected to images / film of piles of dead bodies from WW2 etc) 'hard wires' the programming. They behave in the same manner you do when confronted about Sept 11th. Which, by the way, is far easier to demolish than The Industry. ".....Sept 11th. Which, by the way, is far easier to demolish than The Industry"
A hundred times easier ..... there's actually no comparison as to which one is more obvious. Here in the USA, I experience the "I had an uncle who saw the horrors in Europe (how dare you)" more often than I expected. It seems almost everyone I've reached has a personal relation to a family member who toured the carnival displays by OSS at Belsen etc, or they have a grandma who lived under Hitler (and allied reeducation). I expect there is a significant stretch of truth on their end as a protective measure. The conditioning they are drawing upon is the sanctity of the "Greatest Generation."